Luxueuze steden. In de emiraten Dubai en Abu Dhabi, de rijkste en machtigste stadsstaten van de Verenigde Arabische Emiraten, zijn vele bezienswaardigheden te bewonderen. In Dubai vind je schitterende stranden, drukke soeks en luxueuze winkelcentra. Het prachtige Corniche en het chique Emirates Palacehotel in Abu Dhabi mogen niet worden overgeslagen. Een bezoek aan de Emiraten is niet compleet zonder een bezoek aan de woestijn, bijvoorbeeld in de betoverende resorts van Al Maha of Bab Al Shams. De reisgids brengt je direct naar de beste attracties die deze fascinerende steden te bieden heeft. Of je nu op zoek bent naar de beste kuuroorden, de gezelligste winkels of de indrukwekkendste overdekte attracties, deze reisgids is je perfecte metgezel. De gids is onderverdeeld in vijf gebieden en staat bol van de hoogtepunten, praktische tips, gedetailleerde kaarten en met daarbij prachtige illustraties. Ook heeft de reisgids Dubai & Abu Dhabi een handige uitneembare kaart. Op deze kaart staan bovendien vele tips als manieren om als sjeik te leven en wat je kunt doen om de hitte te ontvluchten. Dubai - die Stadt der Superlative mit diesem kompakten Reiseführer individuell erleben. Das Buch begleitet Kurzurlauber und Stopover-Flugreisende beim Erkunden orientalischer Gassen und hypermoderner Architektur-Highlights. Dank der Fülle an Informationen kann man die Dynamik der Stadt aktiv erfahren, erstklassig entspannen, ausgiebig shoppen, vielfältigst speisen oder sich kulturell bilden. Infos zu Stadtentwicklung und -struktur werden ergänzt durch Einblicke in den Lebensalltag. Antworten auf die wichtigsten Fragen zur Reisepraxis runden diesen nützlichen Stadtführer ab. Der beiliegende Stadtplan (Faltplan zum Herausnehmen) ist topaktuell und bezieht sich konkret auf die im Buch genannten Sehenswürdigkeiten und Adressen. Aus dem Inhalt: Praktische Reisetipps von A bis Z. Dubai entdecken: Ausführliche Beschreibungen der Highlights in den alten wie auch den neuen Stadtquartieren. Nachvollziehbare Rundgänge zu den wichtigsten Sehenswürdigkeiten für alle, die nur ein Wochenende Zeit haben. Unterkünfte von nobel bis preiswert: gründlich vor Ort recherchiert und ausführlich kommentiert. Lonely Planet's Pocket Dubai is your passport to the most relevant, up-to-date advice on what to see and skip, and what hidden discoveries await you. Explore culture and architecture in the historic district, shop at the world’s largest mall, or explore the chaos and charm of the Gold Souq; all with your trusted travel companion. Get to the heart of the best of Dubai and begin your journey now! Full-colour maps and images throughout. Highlights and itineraries help you tailor your trip to your personal needs and interests. Insider tips to save time and money and get around like a local, avoiding crowds and trouble spots. Essential info at your fingertips - hours of operation, phone numbers, websites, transit tips, prices. Honest reviews for all budgets - eating, sleeping, sight-seeing, going out, shopping, hidden gems that most guidebooks miss. Free, convenient pull-out Dubai map (included in print version), plus over 14 colour neighbourhood maps. User-friendly layout with helpful icons, and organised by neighbourhoods to help you determine the best spots to spend your time. Covers: Burj Khalifa, Madinat Jumeirah, the Gold Souq, Burj Al Arab, Dubai Museum, Al Fahidi Historic District, Dubai Mall and more. inspirational images, city walks and recommendations from our expert authors, planning features and top itineraries to help you plan the perfect trip, local secrets and hidden travel gems that will make your trip unique, plus a detailed shopping guide, info on the best dining options and a feature on travelling with children. Promenade along the waterfront Corniche, tour the magnificent Sheikh Zayed Grand Mosque, or relax at a sheesha cafe; all with your trusted travel companion. Get to the heart of the best of Abu Dhabi and begin your journey now! Full-colour maps and images throughout. Insider tips to save time and money and get around like a local, avoiding crowds and trouble spots. Essential info at your fingertips - hours of operation, phone numbers, websites, transit tips, prices. Honest reviews for all budgets - eating, sleeping, sight-seeing, going out, shopping, hidden gems that most guidebooks miss. Free, convenient pull-out Abu Dhabi map (included in print version), plus over eight colour neighbourhood maps. User-friendly layout with helpful icons, and organised by neighbourhoods to help you determine the best spots to spend your time. Covers: Al Markaziyah, Tourist Club Area, Al Khadiya, Breakwater, Yas Island and more. Dubai and the rest of the United Arab Emirates is an extraordinary mixture of ancient Arabic culture and modern Western capitalism. The most opulent hotels in the world fight for attention with open tracts of desert that stretch, uninhabited, to the horizon. Hundreds of kilometres of sandy beaches, which run into the warm and clear waters of the Arabian Gulf, are only interrupted by desalination plants that create enough fresh water to keep acres of Dubai public gardens in luscious bloom. No expense has been spared to make Dubai a five-star paradise for up-market tourists looking for great food and drink, extraordinary duty free shopping, and all-year round sunshine. The Dubai city guide includes: Full colour photography, using original imagery to give a real sense of the place. Handy pull-out Dubai map. All Dubai restaurants and bars have been visited and reviewed anonymously by critics who pay their own way. 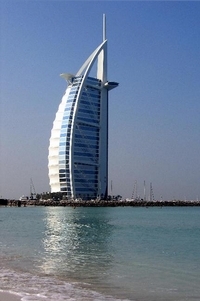 Dubai hotels independently reviewed. The revamped Time Out Guides retain the independence and local expertise that the series is known for, while adding more features to help the visitor navigate the city. CultureShock! Dubai is a survival guide for anyone wanting to discover life in the emirate known as the City of Gold. The major business hub with a lion’s share of the global gold trade is poised to welcome the world at World Expo 2020. This guide draws on insider knowledge to take visitors through the process of settling in, whether for short or longer stays. From surviving the scorching desert climate, soaking in world-class mall experiences and exchanging Islamic greetings to sipping Arabic coffee and camel milk, shopping at spice souqs and visiting a ski resort in the middle of the desert, this is a must-read for complete information on what’s unique about life in Dubai. Leena Asher is a fourth generation expatriate in Dubai and works for voluntary causes around the city, counting art and music as her interests. To her, Dubai offers unmatched safety, security and quality of life. Both her children were also born and raised in Dubai. De Cultuur Bewust!-gids voor de Verenigde Arabische Emiraten geeft toeristen en zakenlieden belangrijke informatie met betrekking tot de etiquette, normen en cultuur van alledag in dit Arabische land. Anders dan in de gebruikelijke reisgidsen wordt de lezer in deze reeks bijgespijkerd op het gebied van omgangsvormen, etiquette, normen en waarden, hoe zich te gedragen en wat verwacht mag worden op zakelijk en sociaal gebied in de Verenigde Arabische Emiraten. Het zijn beknopte zakformaatgidsen met interessante wetenswaardigheden over het dagelijks leven. Een must voor iedereen die naar de Verenigde Arabische Emiraten gaat voor vakantie, studie of werk. The UAE is an increasingly popular tourist destination, with a good infrastructure for visitors. This new field guide is based on the bestselling Birds of the Middle East (2nd edition) and covers all the birds of these Gulf states. The new text written by Simon Aspinall and Richard Porter is specific to the Gulf, and new maps are provided for all breeding birds and regular visitors. 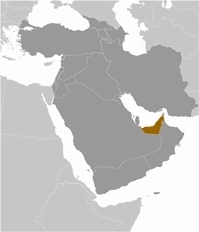 The plates are recomposed from Birds of the Middle East, with three extra plates of introduced species. Simon Aspinall has lived in the UAE since 1993, pursuing his professional interests in conservation and ecology throughout the Middle East and Caucasus. He has published extensively on natural history, especially within Arabia and with an emphasis on birds; traveling widely in that quest he has probably seen more species in the region than any other modern-day birder. Richard Porter has been involved with birds in the Middle East since 1966 and is an adviser on bird conservation for BirdLife International. He is the author or co-author of several books on the Middle East and the groundbreaking Flight Identification of European Raptors. Deelkaarten: Verenigde Arabische Emiraten 1:470.000; Dubai 1:80.000; Dubai City Centre 1:15.000; Abu Dhabi 1:50.000;Staatkundige overzichtskaart van de VAE. De Burj al Arab, het bekendste hotel van Dubai, gebouwd in de vorm van het zeil van een 'dhow'. Palm Jebel Ali (satellietfoto), het grootste Palmeiland voor de kust van Dubai.